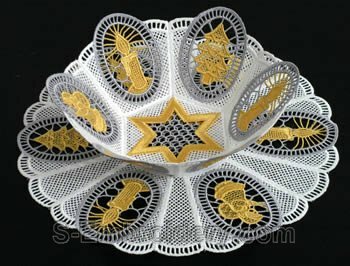 The set includes a star decorated doily center, 4 doily sides with different Christmas decorations and one supplemental doily side. 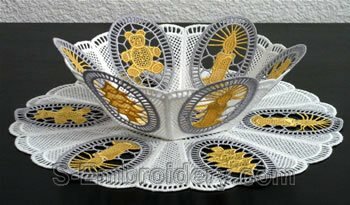 You can create the doily using one and the same doily side or any combination of the 4 decorated sides. 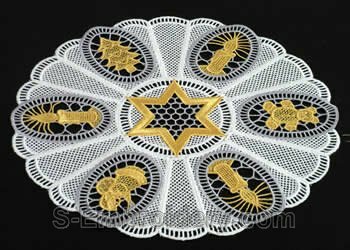 You will need to stitch out 6 decorated doily sides and 6 of the supplemental side.